Pencak Silat (also spelled Pentjak) is an extremely effective and deadly martial art. It is found in the islands of Southeast Asia and developed there as an extreme defense for extreme situations. Silat for street self defense. Pencak Silat is the overall name for the indigenous styles of martial arts from Indonesia and Malaysia including the entire area of Micro and Macronesia. This area ranges all over Southeast Asia from lower Thailand up into the Philippines and all of the islands in between which include but is not limited to such commonly known places as Java, Bali, Singapore, Borneo, Sumatra and Komodo island (of Komodo dragon fame). In Pentjak Silat there is influence that can be found from most other Asian cultures including but not limited to China, India, Tibet and Burma. China literally dominates the area to the North of the islands and the Chinese are the largest immigrant population in the islands. The origins of Pencak Silat are known to be from the island peoples which includes but is not limited to headhunters, cannibals and other tribal peoples who have a long history of fighting and hunting for each other. This also includes fighting over territory, trade routes and property. 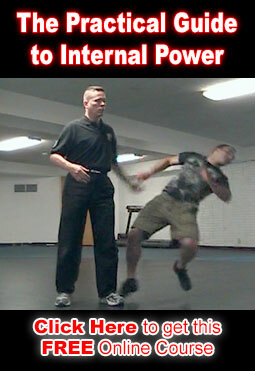 As a fighting art, for an individual, Pencak Silat takes into account the nature and and tactics used by the adversary. In this case a lone individual would need to be able to defend themselves from an attack from an enemy tribe who are attacking in the same way and manner in which they go after food or kill a tiger. This kind of attack means that the enemy will try to find a victim out by themselves and then the enemy combatants will attack as a group who are armed to the teeth with bladed weapons and whenever possible they will attack by surprise. As a result Pencak Silat is a vicious and suddenly explosive art that is deadly effective with a focus on survival. The preferred fighting techniques of Pentjak Silat are bone breaking strikes, joint manipulation breaks, pressure point strikes and the use of bladed weapons. Pentjak Silat fighting methods include an extensive knowledge of the anatomy and physiology including extensive knowledge of the inherent weaknesses found in human beings and most living creatures. The origin of the meaning of the words Pentjak Silat are relatively unknown. However, today Silat is commonly understood to mean the fighting aspect of the art and Pentjak refers to the idea of performance or practice. Together Pentjak Silat refers to the practice and performance of the deadly fighting arts from Indonesia and Malaysia. 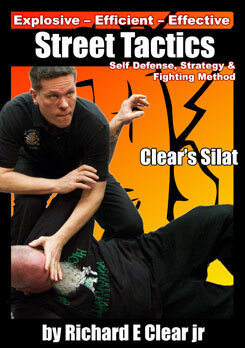 Clear’s Silat combines the strongest elements of many Kuntao and Silat styles into a self defense system that is street effective for the modern world. The program is designed to be easy to learn, even for distance students. It is perfect for people with busy schedules, or anyone who wants to train high-level martial arts at home. 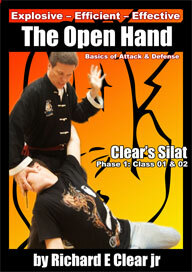 Get started now with Clear’s Silat Phase 1.